Rep. Drew Gattine (D – Westbrook) is proposing a bill that would use the Taxpayer Relief Fund for Maine Residents to supplement spending for penalties Maine faces for Riverview Psychiatric and preserve Janet Mills’ proposed budget. Photo courtesy Rep. Drew Gattine Facebook page. 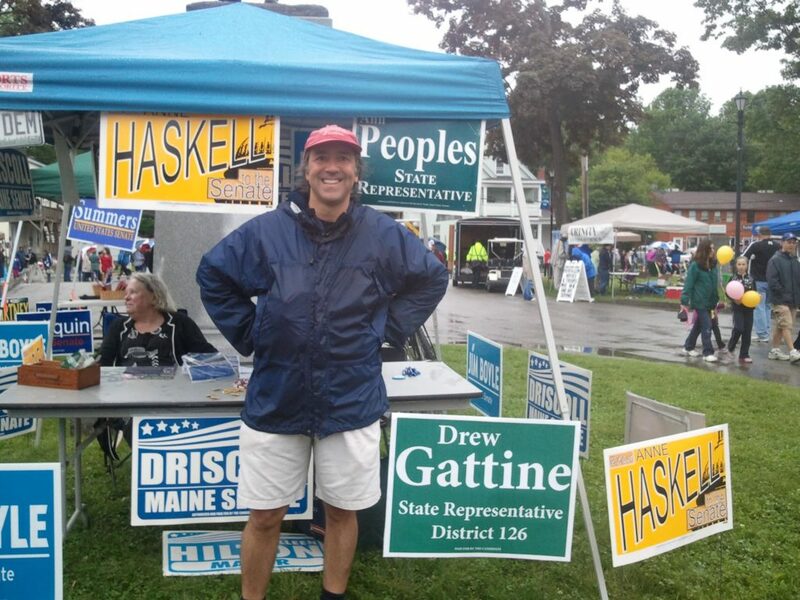 AUGUSTA – Rather than adjust Janet Mills’ proposed budget to more accurately reflect current spending rates and needs, Rep. Drew Gattine and five other Democrat lawmakers are proposing the state take money from a fund set up to relieve the tax burden on Maine people. The Tax Relief Fund for Maine Residents, which was created to establish a reserve fund to be used to reduce Maine’s individual income tax rates by small amounts over time with money set aside in the fund, now faces total depletion. At issue is the state’s situation with penalties from the federal government over Riverview Psychiatric. Because Governor Mills’ proposed budget does not set aside appropriate funding to pay for any estimated penalties and leaves less than $400,000 in unspent revenue over the coming two-year period, there would be no money available in the general fund. As a result, Mills has ordered the funds be taken from Maine’s Budget Stabilization Fund (often referred to as the Rainy Day Fund). In response, Gattine’s bill proposes taking the money from the Tax Relief Fund for Maine Residents first, then drawing any remaining needed funds from the Rainy Day fund. The Tax Relief Fund would then be required to reimburse the Rainy Day Fund for any payments in the future. The Tax Relief Fund for Maine Residents under state law is meant to provide tax relief to Maine residents through incremental reductions in the state income tax. Under current law , when the fund reaches a minimum balance to provide a tax reduction of two-tenths of a percentage point on the individual income tax in the following fiscal year, the reduction goes into effect. In any subsequent year, when the fund reaches a minimum balance to provide a tax reduction of one-tenth of a percentage point, that reduction will go into effect. As a result of legislation passed early in the LePage administration, the fund has been building revenue through year-end transfers from general fund revenue that exceeded appropriations limits. Rep. Gattine’s bill requires over $54 million be taken from the fund in order to avoid any impact to Janet Mills’ proposed budget, which is expected to deplete the fund. Based on reports in the summer of 2018 from the Department of Administrative and Financial Services, the Tax Relief Fund for Maine Residents would be totally depleted if this proposal becomes law. Because language in the bill would require the Tax Relief Fund to reimburse the Rainy Day Fund for any amount beyond what it currently holds, it is likely to be several years, even in a best-case scenario, before Maine taxpayers could expect any tax relief from the fund.